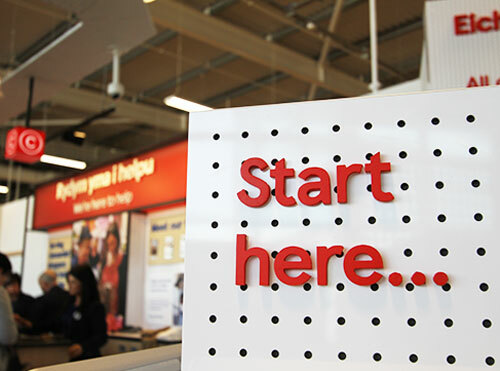 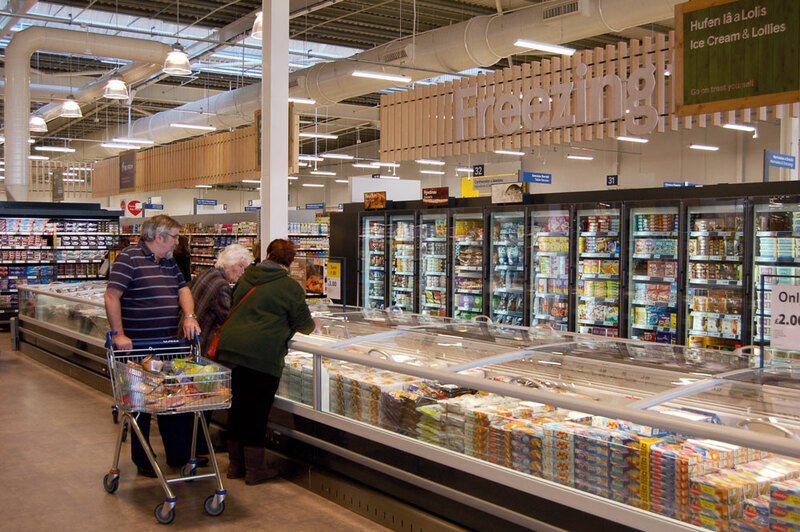 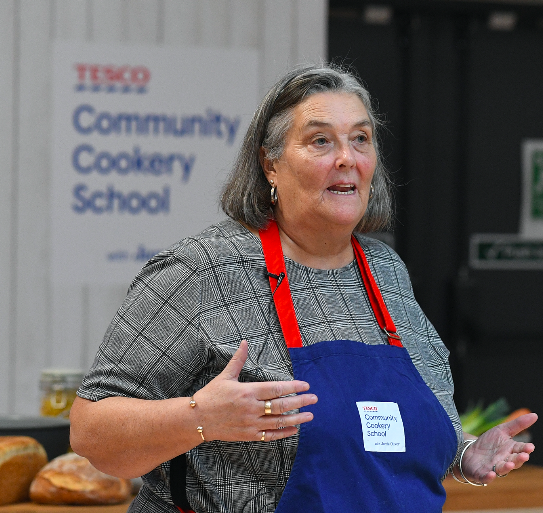 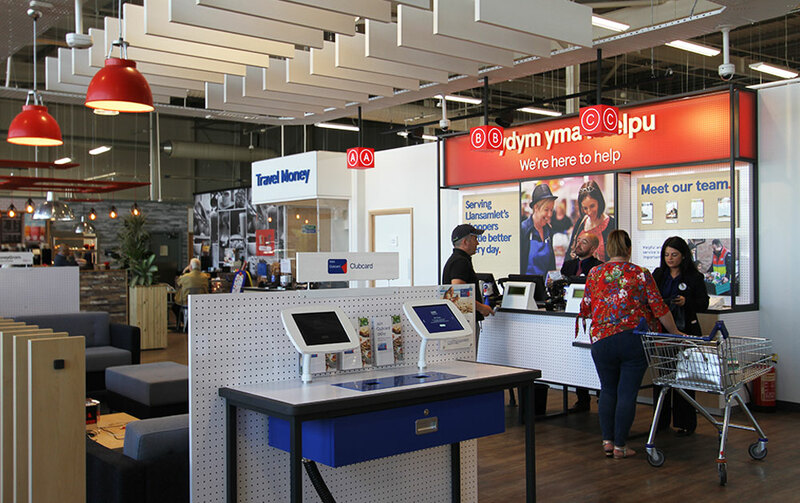 As part of Tesco’s Project Reset initiative, we were asked by the retailer’s in-house design team to help develop a new approach to the in-store customer journey, by simplifying it, building in more theatre and amplifying what makes Tesco different. 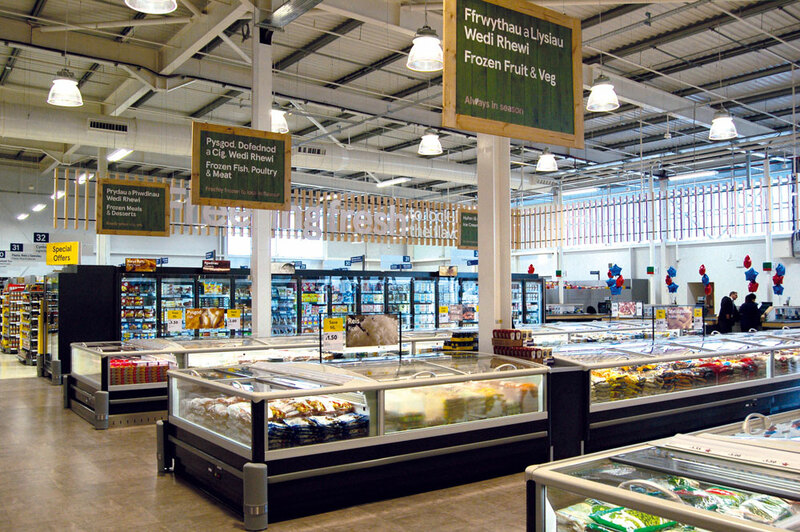 Having extensively researched the latest pan-European and global store design trends, we developed a new customer communications approach. 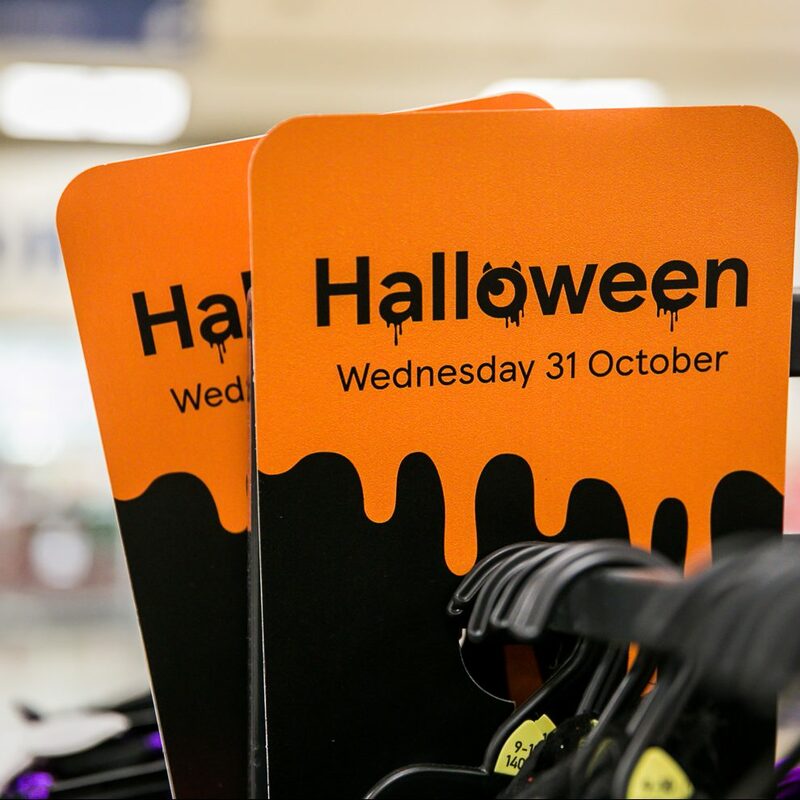 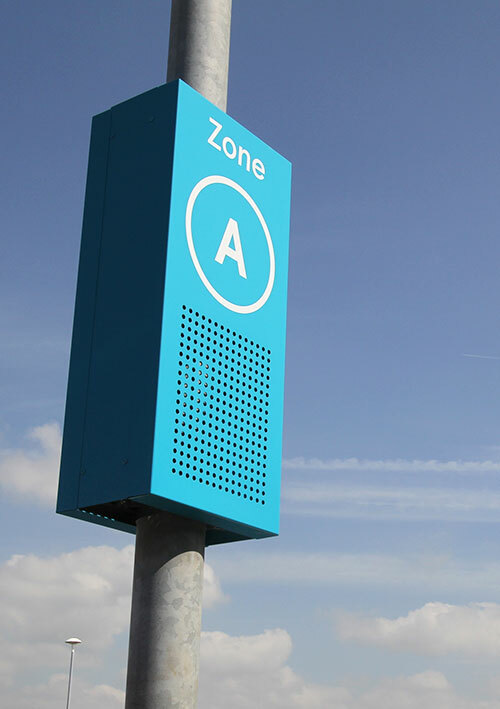 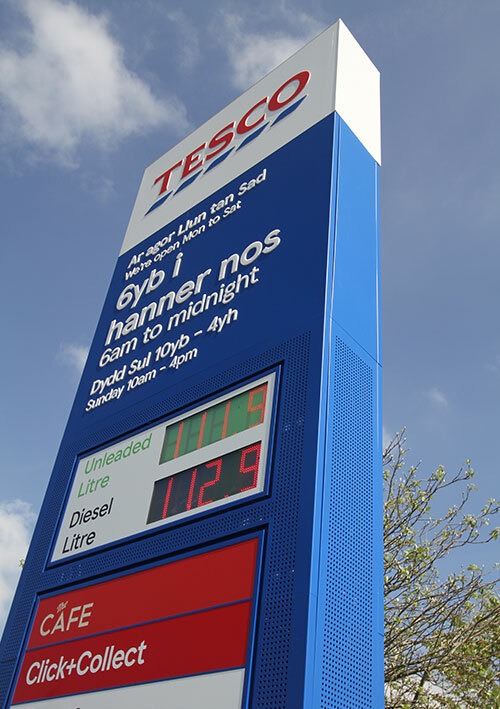 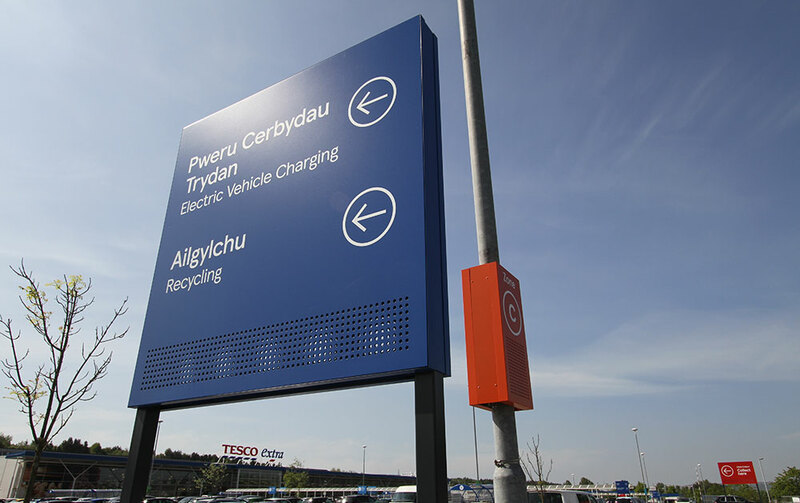 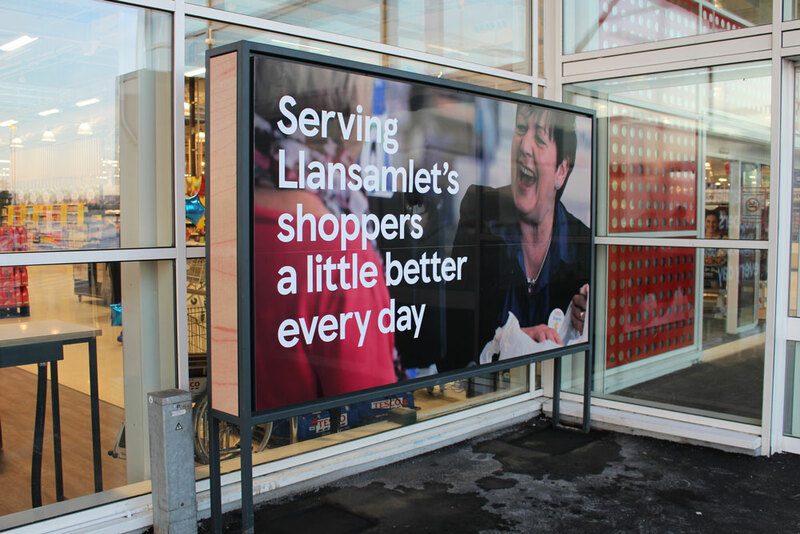 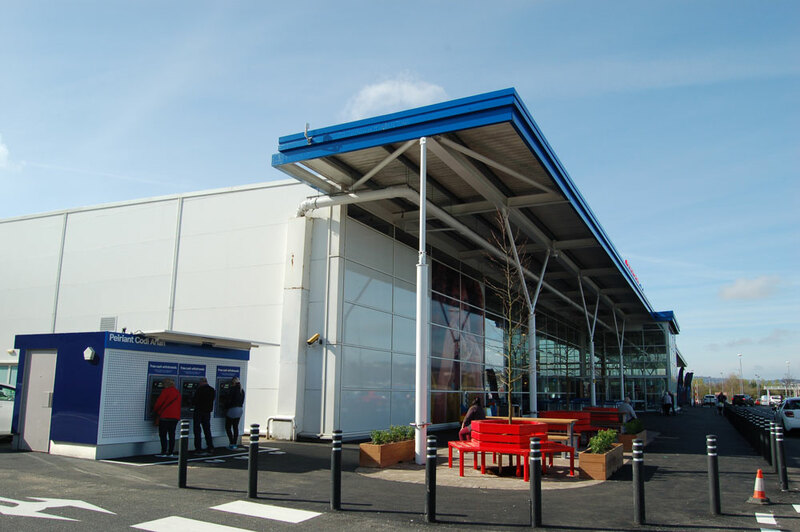 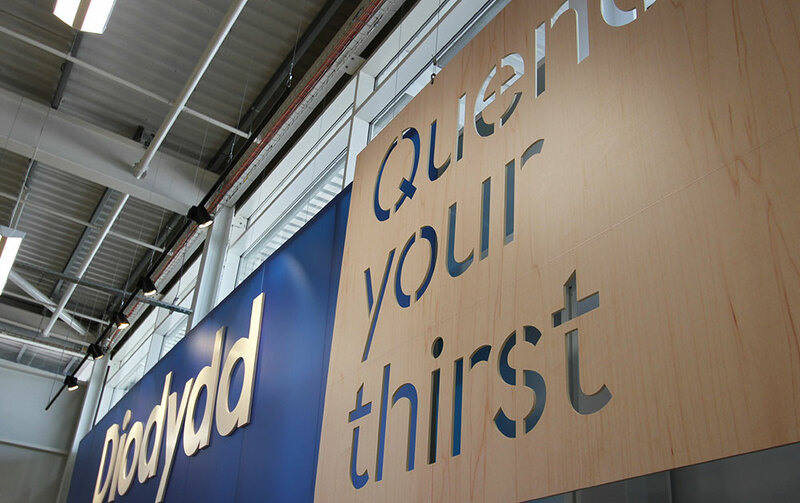 From the car park, across the external signage and right through the store – including perimeter signage and the customer service desk – our aim was to give Tesco a key point of difference in the UK marketplace. 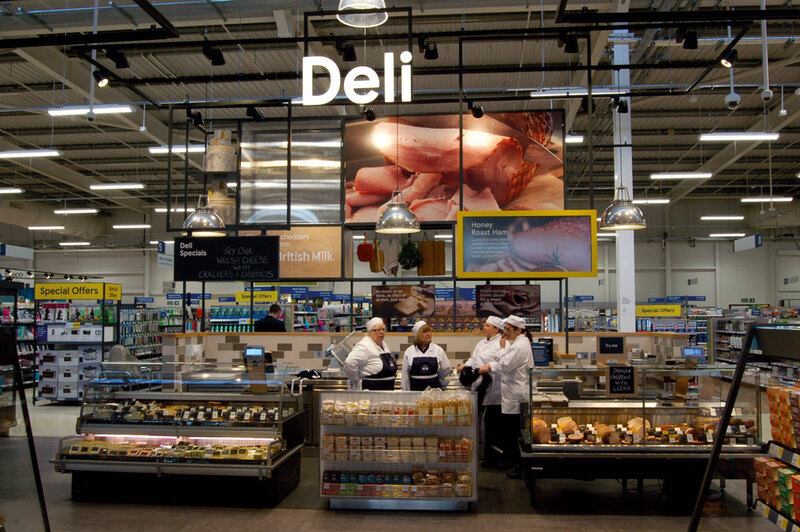 Our work included advising on Tone of Voice, the material, colour and photography palettes as well as the in-store comms family / heirachy and 3D work. 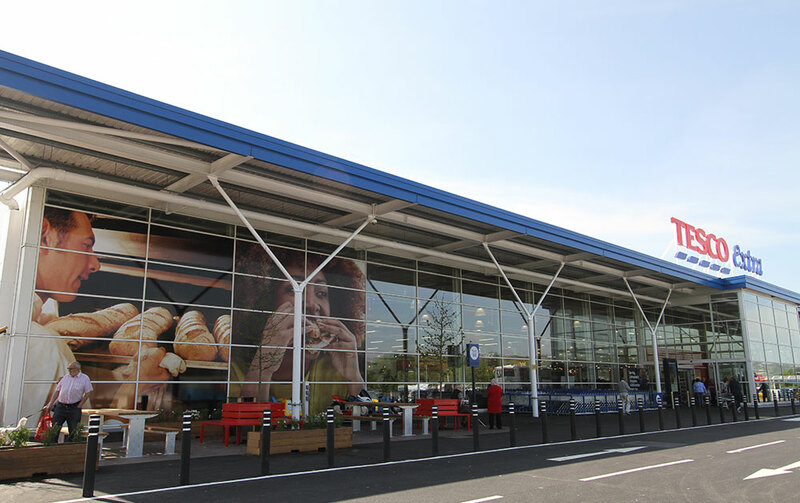 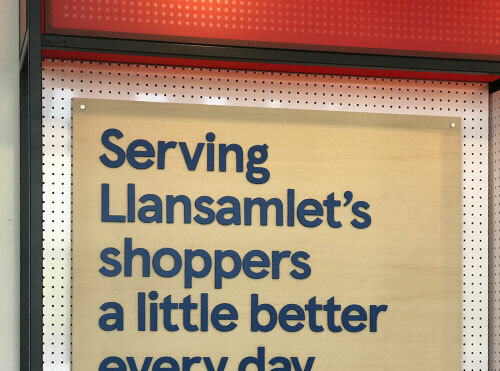 Tesco’s Llansamlet Extra store in Swansea, which was overhauled and reopened in spring 2017 (shown here), was the first store to trial the new approach. 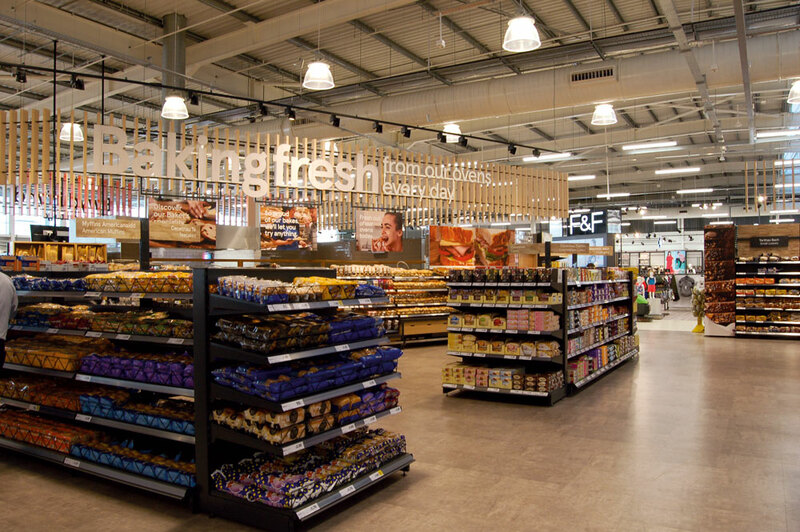 Taking cues from the new generation of continental hypermarkets, we energised the space by using the scale of the structure, utilising the volume at high level. 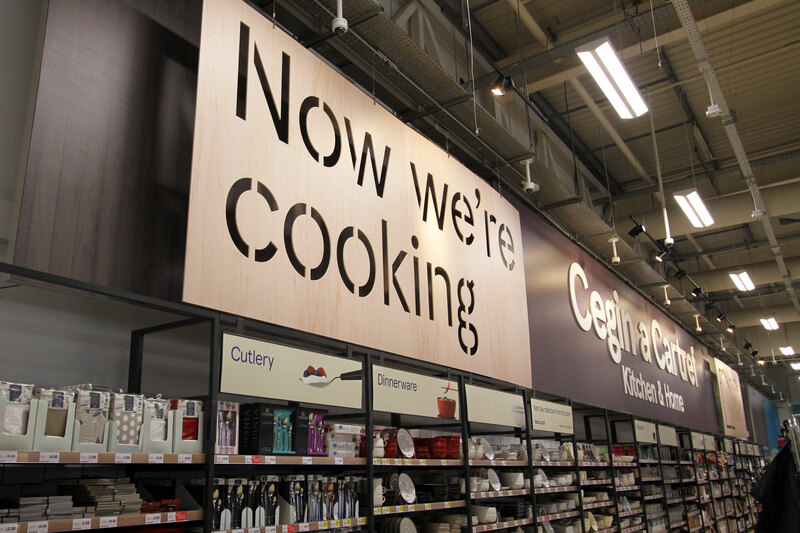 We used materials, such as wood, metal and brick, to create warmth, contrasting this with a bold photography palette and accented colour. 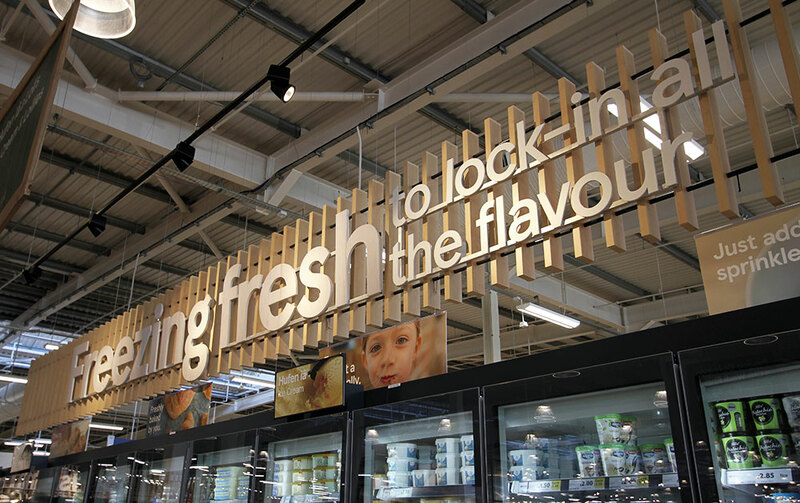 Meanwhile, slatted wooden rafts help to define the space and edit the customer journey. 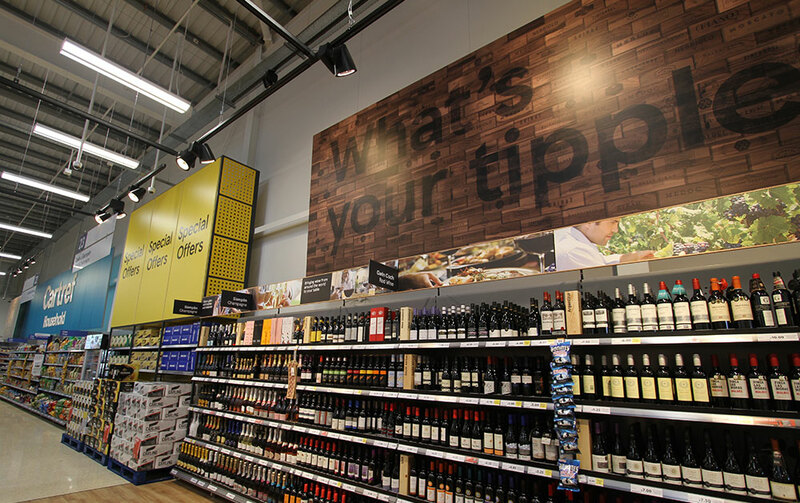 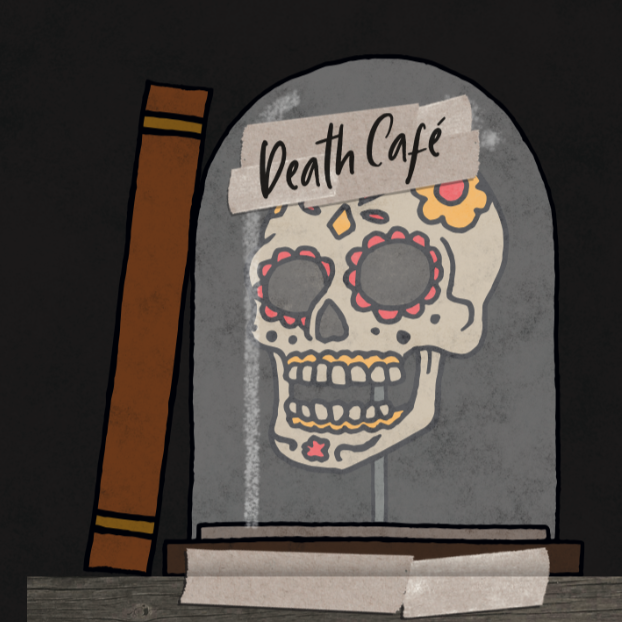 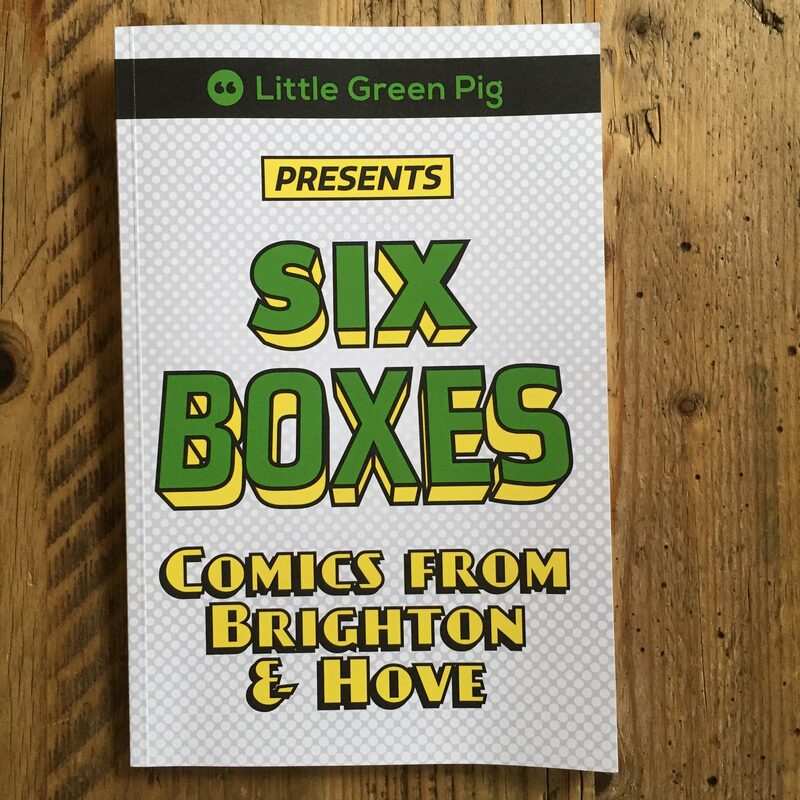 The effect, we believe, is to create something different to the typical big box retail customer experience. 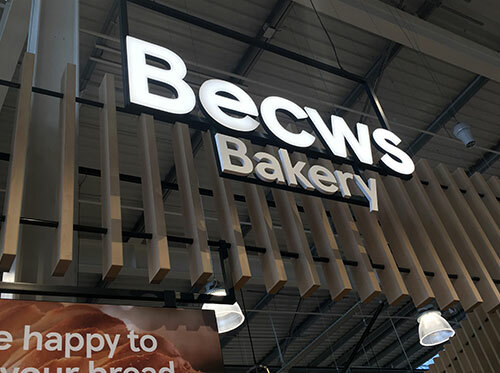 “What makes it [the bakery area] striking however are the vertically suspended posts that collectively form a plain wood curtain throwing into contrast the signage placed in front of it. 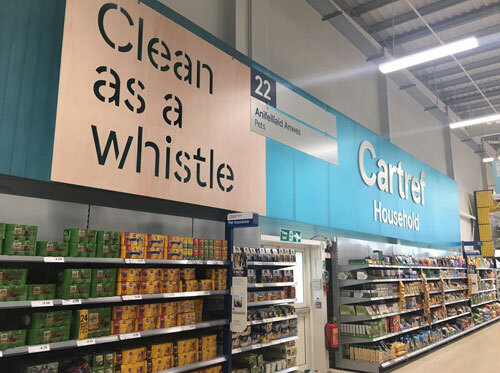 What sets it apart however, is the way in which a very large store has been given a makeover that is consistent throughout.